See, Unstrung isn’t just a dystopian. 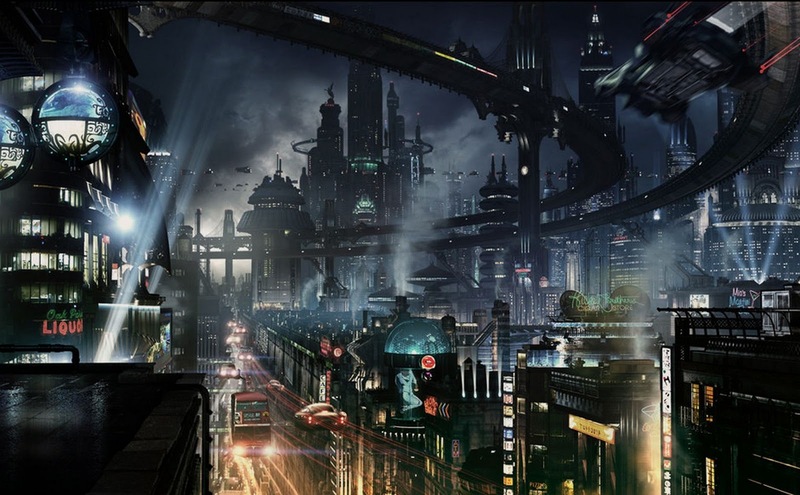 In fact, I’d call it dystopian light, as most of the citizens are happy and well fed, despite a restrictive society. Many people are allowed to marry as they choose, have good jobs, and nice places to live. There is unrest between the upper/middle class and the lower class (and the outcasts, but that’s for book 2). But the biggest class disparity is that engineered humans (artificials to the polite, Bolts to the less polite) are utilized for manual labor to keep “real” humans from having to work too hard. They are a marginalized, slave class, not considered to have thoughts, feelings or opinions of their own. They live where the corporation tells them, they work where the corporation tells them and their freewill is curtailed. So…wait, is this dystopian? Or is it SciFi? Why both ? Because this book belongs to a branch of SciFi called Cyberpunk. If you click the link and read the description, you’ll see why could could call it both a SciFi and a dystopian. My heroine, Lexa, is a thief specializing in the acquisition of high-tech information. Her best friend is a hacker and her boss is a former security chief from the governing corporation in town. She’s an orphan who has no past and her “family” is a band of thieves and malcontents. In the book, we have a class struggle, we have a struggle between low life and high tech, and we have the struggle between corporate control and private citizens. So…Cyberpunk. Famous cyberpunks include Blade Runner and The Matrix. While Unstrung isn’t as dark as Blade Runner, it has things in common with it, as well as with Ron Moore’s Battlestar Gallatica, The Matrix, and Sneakers–my all time favorite hacker/caper/heist movie. Yes, it’s a mash up of genre’s, but that makes it potent, rather than confusing, in my opinion. And to add one more shade of intrigue–it has parallel themes to Pinocchio. So that’s what I’ve been up to. How about you? Anyone else have a favorite cyberpunk story (Total Recall is another one…) to share? This entry was posted in Blog on August 7, 2014 by Kendra. I am a HUGE fan of genre mashups! I think they are so much fun and they can be super unique. Can’t wait to read what you come up with!